Investing trillions of dollars to meet Paris targets and cutting emissions would be much cheaperthan paying the costs of people dying by polluted air, new Lancet study said. Countries, including India and China?, could save $54 trillion in health care by investing less than half that amount in green projects by mid-century, scientists said. It will save 30 million people from dying prematurely due to air pollution. Centre has announced plans to clean killer air in 13 south Indian cities, but the latest state data shows 26 more cities across south Indian states choking on particulate pollution levels higher than the national safe standards. Centre’s plan is to spread monitoring network, conduct air pollution health impact studies, set up air information systems, certify monitoring institutes, air quality forecasting systems. UNEP chief during a recent visit to India said India needs to ‘move fast’ to tackle air pollution. 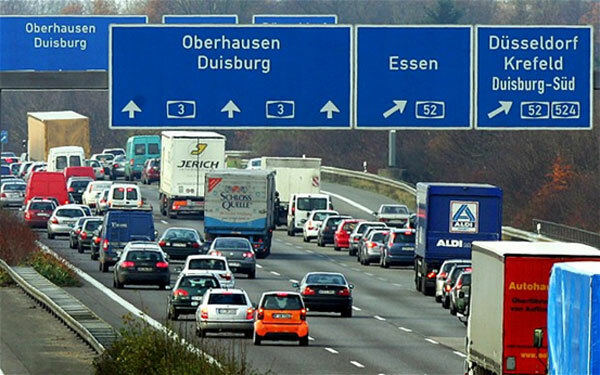 Nitrogen dioxide, emitted by diesel vehicles, is killing thousands of people prematurely annually in Germany, says a latest government-sponsored report. Almost 6,000 people died prematurely in 2014 from illnesses caused or aggravated by NO2, report said. The study, compared deaths from diabetes, asthma and other diseases with emissions records in cities and the countryside. On February 27, Germany’s top court allowed cities to ban the use of diesel cars as part of measures to improve air quality. European Environmental groups have moved court to defend new EU limits on emissions of dust, sulphur dioxide (SO2), nitrogen oxides (NOx) and mercury as the coal lobby challenges limits for NOx and mercury in European Courts. Europe Beyond Coal said, pollution from European coal plants is linked to around 20,000 premature deaths, 458,000 asthma attacks in children and over €50 billion in health costs annually.